What a tidy looking board! Has a bit of a green theme going on, but is definitely pretty nice in the looks department, especially the underside which is mostly black with transparent lettering through to the all wood core. 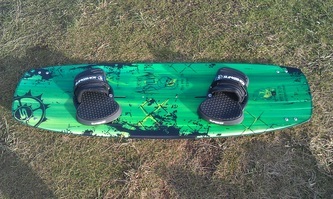 The deck is pretty wide, maintaining a lot of width through to the tips and has a considerable amount of rocker. 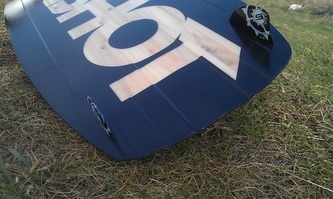 The Underside has a lot of channeling at the tips and a full length ridge on each side to give load of extra bite when ridden with or without fins. The deck itself is pretty light, but the heavy duty pads and fittings bring it up to an average weight for a board of this size. The pads and straps seem to be largely the same as last years, but have some cosmetic changes and the attachment bolts are less O.T.T. which is sure to shave off a bit of unnecessary weight. It also features a new fast-track which gives a nice clean look and a great level of adjustability. Once you get up and riding the stiffness of the Asylum becomes immediately apparent. 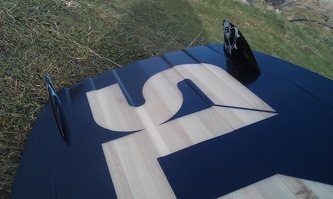 The rocker of the board keeps the tips well clear of the chop and spray out of your face yet doesn't feel sluggish off the as the width gives it plenty of planing area for a respectable bottom end. The width and rocker of the Asylum does take a little getting used to for anyone used to a regular Twin Tip, but as you get more and more familiar with it, it just keeps getting better and better. It travels in a straight line with great stability yet is still easy to spin the board around with the wide stance options. The Asylum is a solid upwind performer, not as extreme as the Misfit, but there's plenty there to keep you tricking without struggling to maintain your ground. 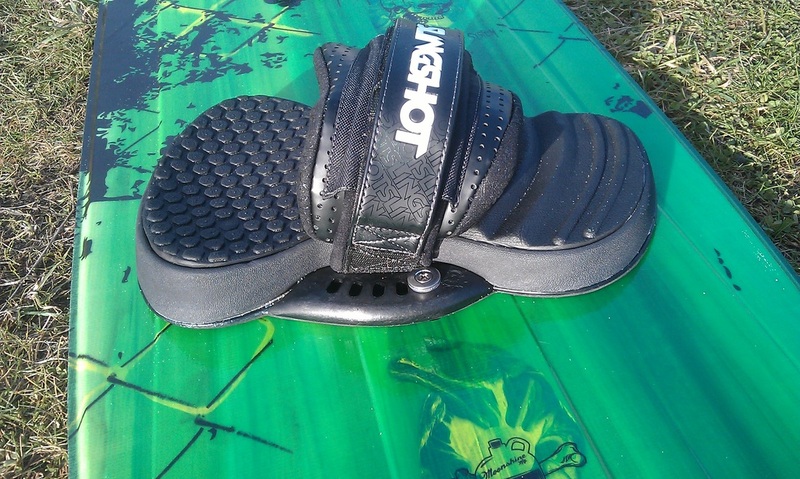 The Slingshot pads remain an excellent blend of comfort, hold and adjustability and work well with a board which is marketed to be equally comfortable with Joint bindings or boots. When you get fully powered and start pushing it into some freestyle, the Asylum really comes to life. 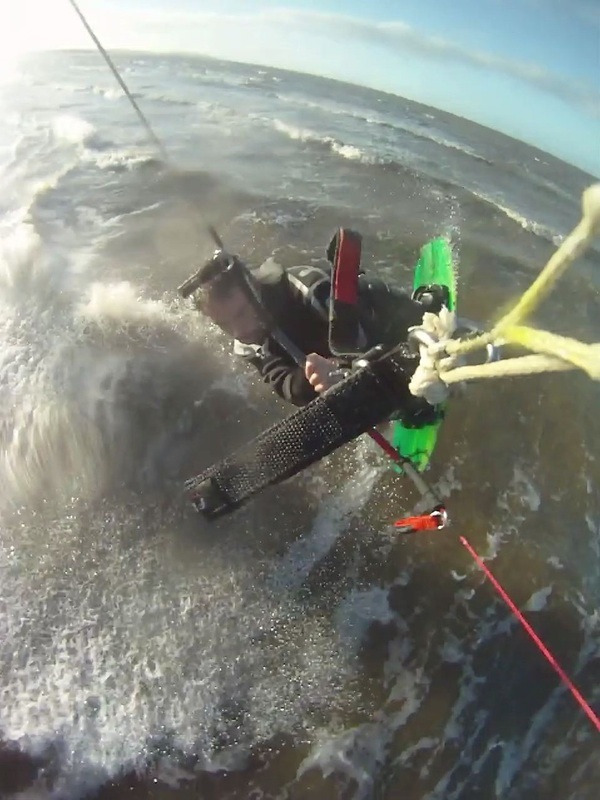 There's loads of grip to edge hard against the kite for both hooked in boosting or unhooked pop and its rocker also makes it great for springing powerfully off kickers. 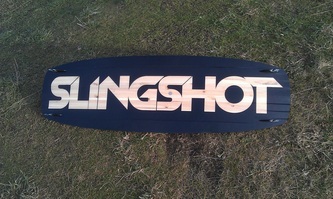 Its an exceptional unhooked performer, huge pop with plenty of grip to force the kite to slack hard, and good grip on landings which are softened well by the board's rocker. Removing the standard 2 inch fins makes it a great board for hitting obstacles with as the channels can be relied upon to help the upwind runs for the next hit. Flat water, Chop, Obstacles, Boots, Straps - take your pick. 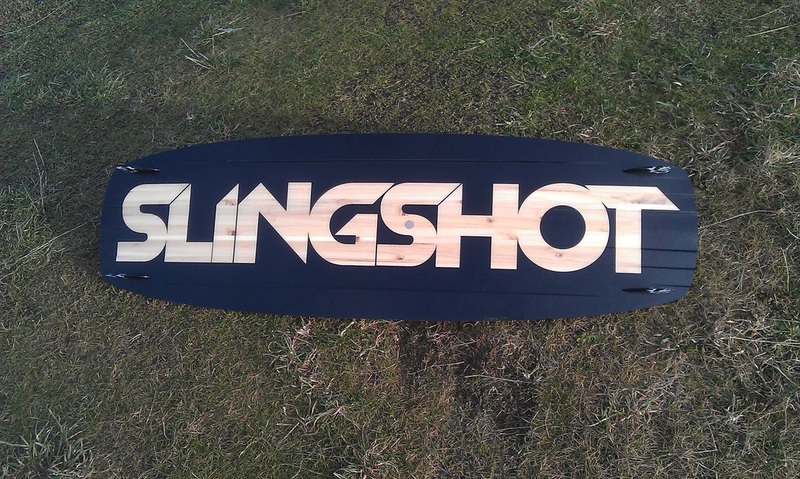 A great versatile board for new school and wakestyle with great grip, huge pop and solid landings. Asylum + Alex Fox from Slingshot Kite on Vimeo.